Mike DeWine will be sworn in as governor on Monday, Jan. 14, 2019. 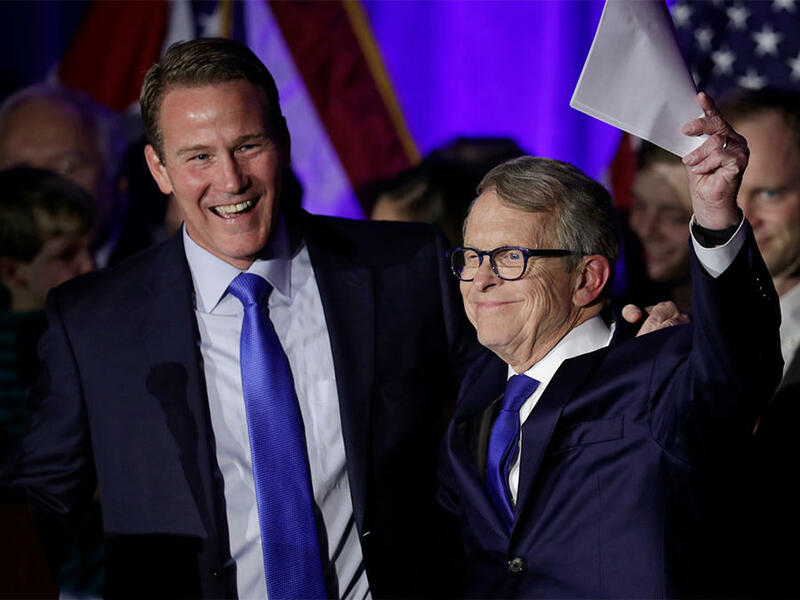 For the first time in eight years, Ohio gets a new governor on Monday. Its 70th governor, to be exact. But Mike DeWine is hardly a new face for Ohioans. DeWine, 72, first won public office in 1976 when he was elected Green County Prosecutor. Since then, he’s climbed the political ladder to U.S. Representative, Lieutenant Governor and U.S. Senator before winning the governor’s race last November. He takes office at a unique time in Ohio history, and follows the footsteps of a unique governor in John Kasich, who often conflicted with the state's GOP-dominated legislature. 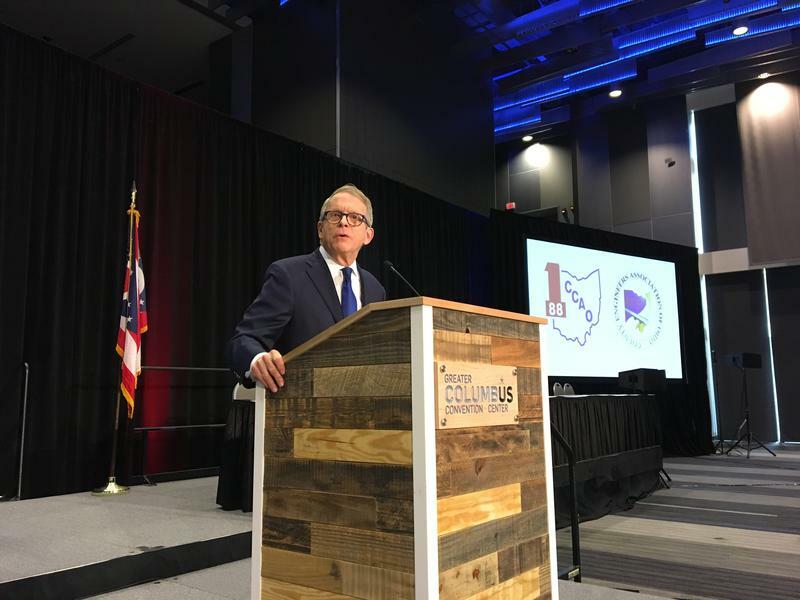 DeWine could depart from Kasich in his support of bills like the "Heartbeat Bill" and "Stand Your Ground," although he's hesitant to talk about either. 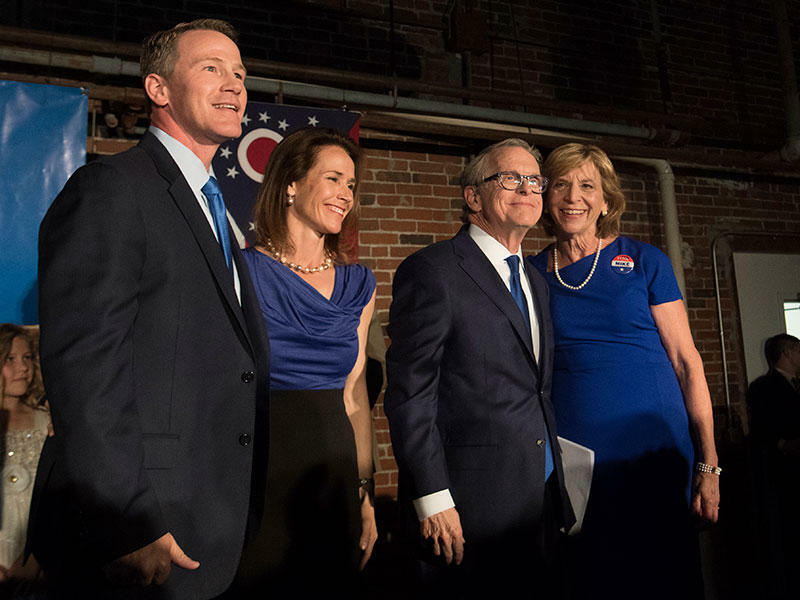 But when it comes to health care issues like Medicaid expansion and coverage for people with pre-existing conditions, DeWine seems to mostly align with his predecessor. 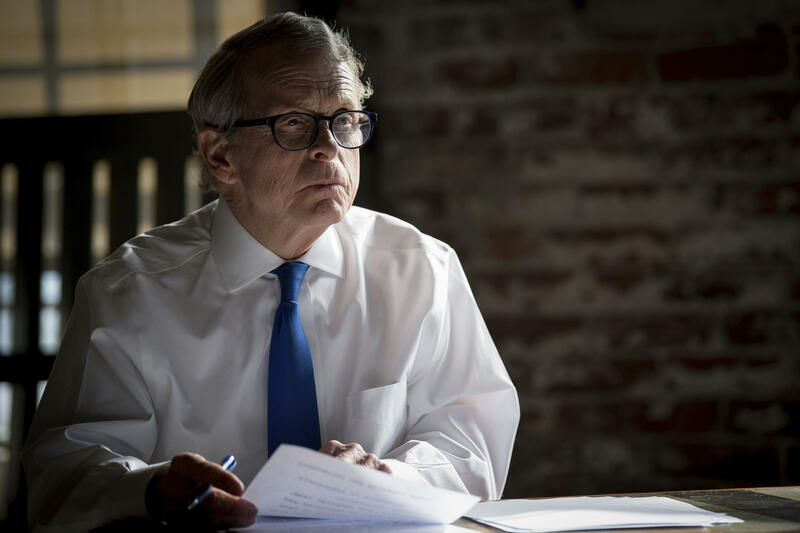 WOSU’s Steve Brown sat down with DeWine to talk about his biggest priorities and what else Ohioans should expect from his administration The following is a transcription of their conversation. Steve Brown: What is your number one priority as governor? Mike DeWine: You know, jobs and the economy still is number one priority because we have a little different situation today. We have a situation eight years later where there are jobs out there, but sometimes we can't find people to fill those jobs or people who need jobs don't have the requisite skill sets to take those jobs. The other challenge we have is that there are people in Ohio today who cannot pass a drug test. So these are really the kind the two biggest challenges that we face. It's a different situation than Gov. Kasich faced, but it's also a situation where it directly related to jobs and where Ohio's going to go in the future. Steve Brown: Is it safe to say JobsOhio will stick around? That's the the pseudo-private job creation agency that Gov. Kasich created instead of the Department of Development. Mike DeWine: Yes, JobsOhio will stick around. It's going to be a tool. We're going to use that tool. I think it's a good tool. It is evolving and how we use it. We're going to maybe use a little differently than Gov. Kasich has, but it's certainly something that is I think gives us a competitive advantage over other states. Steve Brown: You take over for a governor who had some hig- profile disputes with a GOP-controlled legislature. One of those was over the so-called "Heartbeat Bill," which would ban abortions after the detection of a fetal heartbeat. Kasich vetoed it twice. Would you sign the "Heartbeat Bill" if it came to you as governor? Mike DeWine: Well, first of all, I hope to have a good relationship with the General Assembly. I have a great deal of respect for our Constitution and the division of responsibility between the legislature and as well as the judiciary and the executive branch. Steve Brown: Would you have signed the previous version? Mike DeWine: I've said that I would have signed the "Heartbeat Bill." I am pro-life. I think one of the essential functions of government is to protect the most vulnerable members of society and the unborn certainly come within that category. Steve Brown: Another point of contention between Gov. Kasich and Ohio's legislature was on guns, specifically what Kasich called common-sense gun reforms, like laws that let judges seize the guns of people deemed at risk of committing violence, or "red flag laws." Would you support a red flag law? Mike DeWine: Well, I've talked about this during the campaign. I've said that I could support a law if it was written correctly and if there was due process, correct due process built into this. Again, this is an area where I would hope we would be able to put people together, figure out what our common objectives are, respect the Second Amendment, respect due process, but at the same time make some progress in this area. Steve Brown: Would you have signed the self-defense bill that was a "Stand Your Ground" bill before that language was stripped out? Steve Brown: Do you support the idea of "Stand Your Ground"? Mike DeWine: I'm not going to get that. I'm not going to get into that. You know, you start down that path, and you're speculating what the exact language is in legislation, so I'm not going to do that. Steve Brown: When it comes to health care, you as Attorney General joined a lawsuit against the Affordable Care Act or Obamacare. You say that you always supported some parts of the ACA like Medicaid expansion and mandating the coverage of preexisting conditions, but you thought the coverage mandate was wrong. Now that your governor, will you support all parts of the Affordable Care Act? Mike DeWine: Well, my opinion about the Affordable Care Act has not changed. My opinion has been that there are some good parts in it, but the idea that we would force people to go to certain doctors, which is one of the things that you end up through the Affordable Care Act... I still don't like that. You know, one of the questions that came out during the campaign has to do with coverage for all citizens of pre-existing illnesses, and this is something that I'm very committed to. If in the future there's a change in federal law which puts that at risk, I will intervene. I will go to the leguslature and we will do whatever we have to do to make sure that all Ohioans have the ability to get insurance at a reasonable rate, whether or not they have a pre-existing illness. Steve Brown: And you said on the campaign trail that you support Medicaid expansion. I assume that's still the case. Mike DeWine: I do. You know, the two caveats are that we want to have a work requirement, and we also want to really put a lot more focus and emphasis on wellness. Wellness is very important. We're seeing private sector employers, we're seeing people like the Cleveland Clinic, for example, who have made some amazing progress in increasing the wellness of the staff that works there, that has resulted in a really dramatic slowing down of the increase in cost to the employer while at the same time getting us a much more healthy workforce. So it's a win-win for everyone. Ohio's got to get serious about that with our adult Medicaid population, as as well as our state employees. Steve Brown: Medicaid is one way that Gov. Kasich made inroads with Democrats. It was a way that he could get some bipartisan support. Our new speaker of the House, Larry Householder, he won the job because he compromised with minority Democrats over labor issues. How would you reach out to Democrats to have a more bipartisan Ohio government? Mike DeWine: Well, one of the things you're going to hear me say today is, I'm going to be talking in my inaugural speech about the fact that we're all Ohioans. There's a lot that brings us all together. 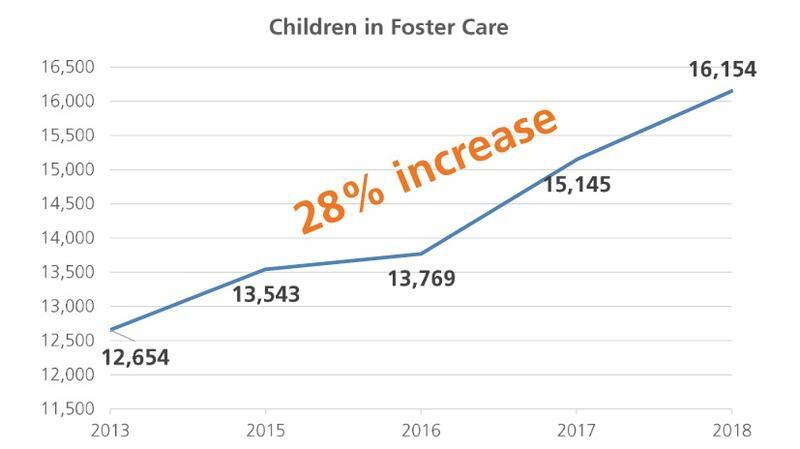 And so when we look at challenges like early childhood education, early childhood development, the challenge of making sure every child in the state by the time they get to five years old they start kindergarten, at least they're up close to the starting line. Our drug problem, our skills gap, all of these issues are really not Democrat or Republican issues. These are things that I think all Ohioans can agree upon that we should be a high priority. Steve Brown: As I said, Larry Householder won the support of Democrats by compromising on labor issues when it comes to so-called "Right To Work" legislation. You've said that Ohio does not need the divisiveness of a "Right to Work" bill. You've also said that, "This issue will be and should be decided by the voters of Ohio." It might not matter if House leaders like Householder don't bring a "Right To Work" bill up for a vote. But as governor, would you support a "Right To Work" bill? Steve Brown: That's based on reports that we've seen. Mike DeWine: I'm not going to comment. I just don't know that. Look, this is not what we want to do, in regard to "Right To Work." We have good labor relations in the state of Ohio. We have other things on our agenda. We do not want to be diverted with a divisive fight. I made that very clear during the campaign. So my opinion has not changed. Steve Brown: As attorney general, you did work on police/community relations. Your office instituted some new training for police officers as governor. How do you think you could improve police training and police-community relations? 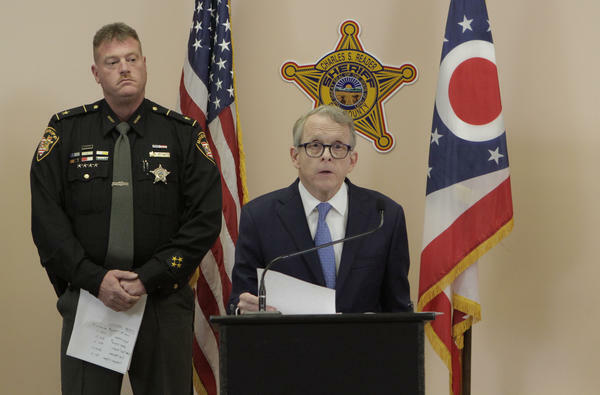 Mike DeWine: You know, I think police training is an ongoing challenge and it's an ongoing thing that every police department, every chief has has to face. We want to be helpful in this area. As attorney general, I think we've significantly broadened police training to have a great focus on scenario-based training. I believe that we can continue to improve scenario-based training. It's going to be one of things that I want to focus on as governor. Steve Brown: Gov. Kasich did something unique by moving the State of the State address outside of the Statehouse. Some people thought it was a neat way to take government to the people. Some lawmakers complained about the amount of travel. Where do you intend to have the State of the State address? Mike DeWine: Well, I've made no decision about this and obviously this will be with consultation of the state legislature. They would have to approve any decision that we would make in this in this area. They are the ones who are inviting me, actually. So I have a great deal of respect for that. I'm rather inclined to do the first State of the State speech in the Statehouse. But you know, the idea of traveling around the state I think also gives us the opportunity to highlight and put a spotlight on some of the amazing places in the state of Ohio. So it's not something I would rule out at all. Steve Brown: A little less important topic: John Kasich started the practice of moving the annual address. But he broke a years-old tradition by declining to spend the night at the Ohio State Fair. Would you as governor of Ohio spend the night at the Ohio State Fair? Mike DeWine: Well, I don't know if I'm going to do that. But the Ohio State Fair is very important. It's where we showcase Ohio. Part of my job, I think, as governor is really to be out there talking about the state of Ohio. We're Ohioans, we're Midwesterners, and I think sometimes we're a little bashful about telling the world how great we are. I'm not going to be bashful about that. And so I look at the Ohio State Fair sort of the way Gov. Rhodes did, I think, as an opportunity for us to showcase all the great things that we have in the state of Ohio. It's also an opportunity for us to really reinforce 4-H, FFA, our junior fare where we have young people who are showing livestock. Fran and I have eight children, all eight children were in 4-H, so I'm a big supporter of not only the State Fair but all our fairs around the state. Steve Brown: But no sleeping in the sheep? Mike DeWine: Well, we'll see. We'll see. Steve Brown: You just turned 72. Happy belated birthday to you. You would be 76 if you were elected to a second term, at the time you start. Do you have your eye on a second term? I know you just took office and we're getting ahead of ourselves here, but is a second term an option for you? Mike DeWine: Well, absolutely. Look, I don't think anybody runs for governor and thinks about only serving one term. But I think we take one term at a time, we have a lot of challenges and things we want to get done. So you know, speculating about where I'm going to do in four years is probably not very helpful. But I think any governor who takes office assumes that they're going to try for the second time and that they hope to serve eight years. Because what we all do when we run is we have things we want to get done. And I have a lot of things I want to get done. Steve Brown: New Ohio Gov. Mike DeWine, thanks for your time. The best of luck..
Mike DeWine: Great being with you. Thank you.